Rampur: Taking a dig at Prime Minister Narendra Modi and State Chief Minister Yogi Adityanath, Samajwadi Party leader Mohammad Azam Khan, has demanded that Lord Ram statue, to be constructed in Ayodhya should be taller than the ‘Statue of Unity’ which is dedicated to Sardar Vallabhbhai Patel. 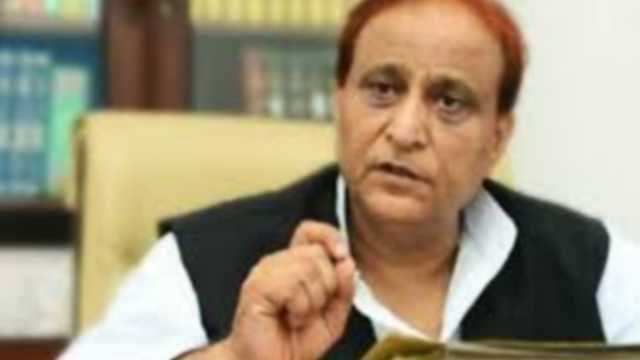 Azam Khan made these remarks in the backdrop of an announcement made by the state government over the construction of a 151-metre tall Lord Ram statue in Ayodhya for which CM will lay the foundation on November 6. “Lord Ram’s statue, which is likely to be built near the Sarayu river in the temple town, should be constructed taller than the recently-inaugurated 182-meter Sardar Vallabhai Patel’s statue,”Mr Khan said while talking to reporters in his home city on Saturday evening. “Why did this thought not occur at the time of building the statue of Sardar Vallabhbhai Patel? Why would anybody oppose (the building of Lord Ram’s statue)? I would want an even taller statue of Lord Ram in Rampur,” he added. According to UP government sources, a formal announcement in this regard is likely to be made during the Deepawali festivities next week when CM Adityanath will be in Ayodhya.